After opening at #1 in this past weekend’s box office derby, it’s safe to say many of you have already seen Ant-Man, but those who haven’t, beware of *SPOILERS AHEAD*. In Marvel’s latest blockbuster Ant-Man, Paul Rudd’s Scott Lang is able to save the world from Darren Cross’s dastardly plan to sell Yellowjacket technology to the highest bidder, but despite destroying most of the remnants of that experiment, Lang left one loose end dangling: Mitchell Carson. 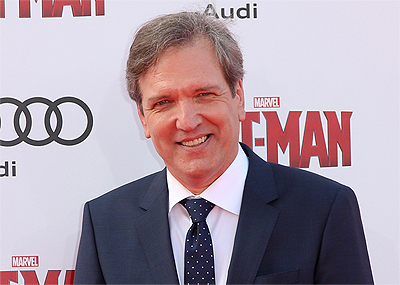 In an interview with CinemaBlend, the film’s director Peyton Reed revealed an alternate ending that dealt with the nefarious Carson, as played by character actor Martin Donovan. Described by Michael Douglas’s Hank Pym in the movie as “ex Head of Defense at S.H.I.E.L.D., currently in the business of taking down governments,” Carson is discovered to be in cahoots with Hydra and could very well reverse engineer the Cross particles to develop a newer, even deadlier human shrinking technology… or perhaps an enlarging technology. This could happen as soon as next year’s Captain America: Civil War, which Paul Rudd will reprise his role in, but could also be pushed to Avengers: Infinity War or even a hypothetical future Ant-Man sequel. Carson taking the guise of this technology would not be that far away from the comics, where Carson is a ruthless killer S.H.I.E.L.D. agent who rocks a discarded shrinking suit and takes on Eric O’Grady’s Ant-Man.